Two factors determine a shipper’s outsourcing strategy: the complexity of the supply chain and its added value. 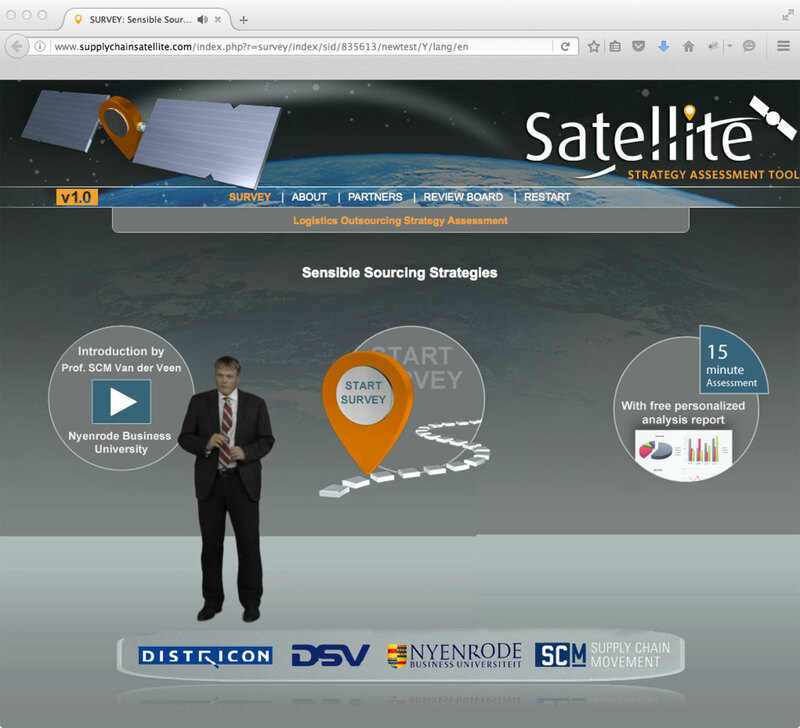 So say DSV Solutions, Districon, Nyenrode and Supply Chain Media, the four partners who have developed an outsourcing strategy assessment tool called ‘Satellite’. With the complexity of the supply chain as one axis and the added value of the supply chain as the other, a four-quadrant matrix is formed. This online self-assessment tool enables shippers to plot their position on the matrix in the space of just ten minutes. Each quadrant represents a different type of buyer. The tool is free to use and can be found on www.supplychainsatellite.com. Participants receive a report containing their results for future reference.